There's little in life more rewarding than really taking pleasure in what you do for a living. Even still, we all have lives outside the office. Even when your job is your passion and your office is a Richardsonian-Romanesque three-story rusticated stone dwelling, we still need downtime. Coaching is one of my favorite ways to get out of my own head and enjoy the summer months. 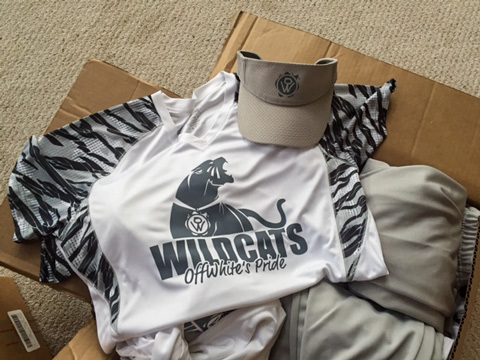 When OffWhite took on sponsorship for the OffWhite Wildcats this year, our second year sponsoring a team, I had no idea what skill level the players would be. What I did know was that I wanted our sponsorship to include head to toe gear. If there’s one thing I understand it's the concept of “dressing the part.” Even if the players knew very little about softball, having respectively little to no experience, I wanted them to look like they knew everything. In the movie Catch Me If You Can, Frank Abagnale Sr. asked his son if he knew why the New York Yankees always won. "The other teams can't stop staring at those damn pinstripes." That may not be the whole truth, but if you look the part and feel confident about the image you project, your audience and competitors will believe that persona. Brand from the inside out. If your image is strong, if it is something you and your team members can get behind, your brand is strong. This is what we call branding from the inside out. Your team needs a brand they can get behind. This builds morale and makes the whole team function better. It works for sports. It works for companies. When building a company, it can be difficult to deconstruct the essential components of a positive morale and even your corporate identity – particularly when your perspective is limited to what you know. Improving company morale is rarely as easy as buying uniforms. When a company chooses to seek a new image or takes steps to make a brand change, the minutia must be examined and understood. You may think you know your brand, but do your audience and competitors agree with what you see? Your entire team must be coached on what the brand was, is and should be if you really want to brand from the inside. I've said it before, but this needs to start at the very beginning. 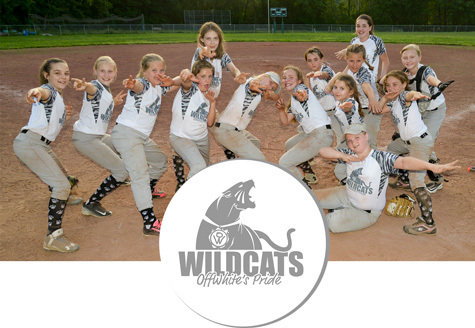 During our first year of sponsorship for the OffWhite Wildcats our girls were uniformed in the basics. At one of our games, the opposing team walked onto the field and I could feel an almost tangible shift in confidence from our players. Our competition had everything – even team duffle bags. They were intimidating. Uncertain expressions and hushed exclamations of "we cannot go up against that" rippled through my team. It took four or five innings to get our girls to see that we were capable of winning that game. That's most of the game. It took most of the game for my team to realize what should have been obvious as soon as the game started. That is, of course, exactly what the competition wanted. They wanted to intimidate us and make us believe we could not compete with them. Having ‘all the gear’ can boost confidence, but it is not the only factor that comes into play when branding your organization. You have to know how potential customers see you. 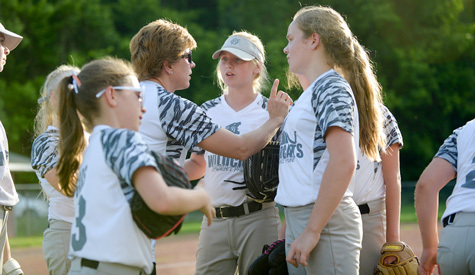 OffWhite Pride Wildcat coach Abby Spung explains position changes between innings of a 12U softball game in the Pioneer Valley Girls’ Softball Association. I love coaching. I love watching the girls improve, have fun and really align as a team. My time coaching over the summers is over in an instant. Yet even in that small space of time, when the girls walk away I see how much they have grown. They started the season simply learning to trust and respect one another on and off the field, putting differences aside, much like colleagues from all walks of life must do in the office space. They ended the season with the realization that in many ways they are more alike than they may have thought; they are a team united by a shared vision — a shared identity. I also like having something that gives me distance from my every day work. It is often during this downtime that I remember how much I love what I do. Even in times when my life seems completely unrelated to my work I find myself gaining new perspectives that inspire me. I learn a lot from coaching that helps me better relate to and communicate with clients. When outfitting your brand you have to consider your image, morale, audience perception and your endgame to hit a home run. It's not an easy task. To start: Find your own outlet. Find what gives you inspiration. Find your identity. This is how we at OffWhite maintain creativity and develop original thought. Wherever you are in the process, let us coach you on how to gain new perspective and a build a better brand. Contact Abby Spung at 800.606.1610 to see what our team can do for you.